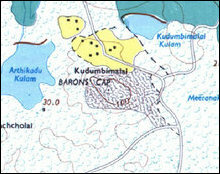 The 232 Brigade of the occupying Sinhala Army having its main base at Kudumpi-malai (which is also known as Thoppik-kal and Baron’s Cap) area in the interior of the northwestern hinterland of Batticaloa, is Sinhalicising the area by bringing in Sinhala fishermen to engage in fresh-water fishing at Meeraa'nda-ku'lam and by promoting ‘tourists’ from South to engage in leisure activities in the area, Kudumpi-malai villagers complain. Tamil villagers are barred from accessing their reservoir. The SLA has put up tents and created a camping area where the Sinhala fishermen are staying. 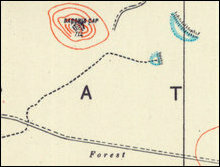 When asked about those residing in the camping site, Sinhala soldiers use to refer to the visitors as their relatives or as tourists from South. But, some of the intruders seem to be fishermen who are having a business relationship with the occupying military, the people say. In the meantime, the ‘Tourism’ ministry of occupying Colombo has outsourced a scheme of promoting Sinhala cultural and leisure-oriented tourism in the hands of the occupying military. The 232 Brigade soldiers are also occupying the temple located on top of the hill to store military hardware and are blocking the Saiva Tamil devotees from utilising the temple building for religious purpose, the villagers further complained. The SLA soldiers have also dismantled the door of the temple building. Tamil devotees should seek permission in advance if they are to access the temple. Such permission is given only on special religious occasions. The devotees have to accompany Sinhala soldiers. The 232 Brigade has placed a communication equipment with antenna at the hill-top. The SLA has also constructed a small structure and framed a photo of Buddha on the top of the hill at the temple of God Murukan. The devotees are also complaining that the SL military presence at the foothills of Kudumpi-malai was causing inconveniences to religious prayers at the temple for Paththini deity. 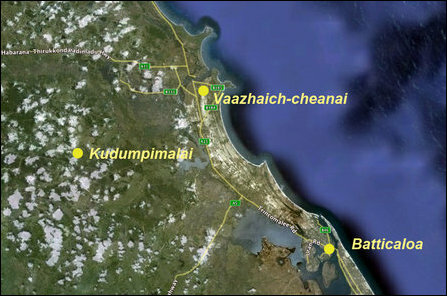 Kudumpi-malai is located 54 km north of Batticaloa city in the administrative division of Ko'ra'laip-pattu South (Kiraan). 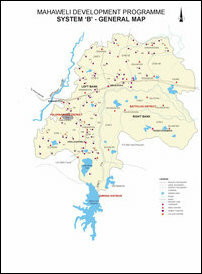 Meanwhile, the SL ministry of so-called Mahaweli development is targeting the Tamil hinterland for Sinhala colonisation, particularly the villages, jungles and pastureland located along the border between Batticaloa and Polonnaruwa districts. 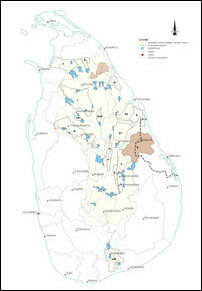 The System B of ‘Mahaweli’ seeks to divert the waters to Sinhala farmers in Welikanda and Dimbulagala D.S divisions in the Polonnaruwa district, which is the home electorate of SL President Maithiripala Sirisena. Hailing from the neighbouring Polonnaruwa district, Mr Sirisena has been implementing a long-term Sinhalicisiation agenda within the so-called System B under the pretext of ‘development’. One of the three main sources of livelihood of Tamils in Batticaloa is cattle and dairy farming. While 320 Tamil dairy farmers from the two divisions of Ea'raavoor-pattu (Chengkaladi) and Koa'ra'laippattu South (Kiraan) are already struggling without adequate pasturelands for their cattle. But, towards the end of 2017, the SL Mahaweli ministry has silently moved to implement a new programme of distributing lands to Sinhala colonists, 49 acres per settler family, through a long-term leasing scheme. The overwhelming majority of the recipients are Sinhala farmers from Polonnaruwa, the home electorate of Mr Maithiripala, Tamil civil sources say. The World Bank is alleged of assisting Mr Sirisena without paying attention to the discriminative ‘development’ agenda of the SL unitary State's in the Eastern Province. The area is known as Paduvaan-karai, which was under the control of the Liberation Tigers of Tamil Eelam during the times of the war and the ceasefire monitored by the nordic countries between 2002 and 2006. 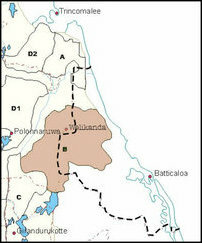 Colombo's military seized Kudumpimalai from the control of the Tamil Tigers in 2007. The next phase of so-called agricultural expansion under the System B in 2018 will be Sinhalicisation of agricultural areas in the hinterland of Batticaloa district, say Tamil farmers who are dependent on irrigation channels from Vaakaneari and Vadamunai tanks in Padvuaan-karai. It is under these circumstances, the occupying Sinhala military and the SL Tourism Ministry are closely working to bring southerners into Paduvaan-karai, the Tamil villagers say. 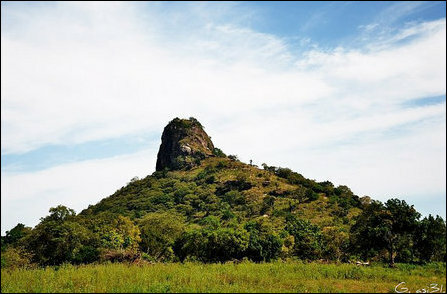 Kudumpi-malai is a 712 feet high hill. The term ‘Kudumpi’ is the Eezham Tamil form of the Tamil word Kudumi of Dravidian etymology, which commonly means the traditional hairdo of men in the form of a coiled knot either on top of the head or on the sides.